V2 Cigs is arguably one of the best electronic cigarette brands. With over 1 million satisfied customers, they have been acclaimed by many customers as being the only alternative to smoking. They pride themselves in having a great design team. They distinguish themselves from what they call “cheap re-branded e-cigs” by being involved in every step of manufacturing and quality control. V2 Cigs also has the most popular true tobacco flavor, but there’s more that makes them the favorite choice of America. Recently, the company joined forces with Zig-Zag and now offer branded disposable e-cigs and exclusive Zig-Zag e-liquids. Here’s our full review. 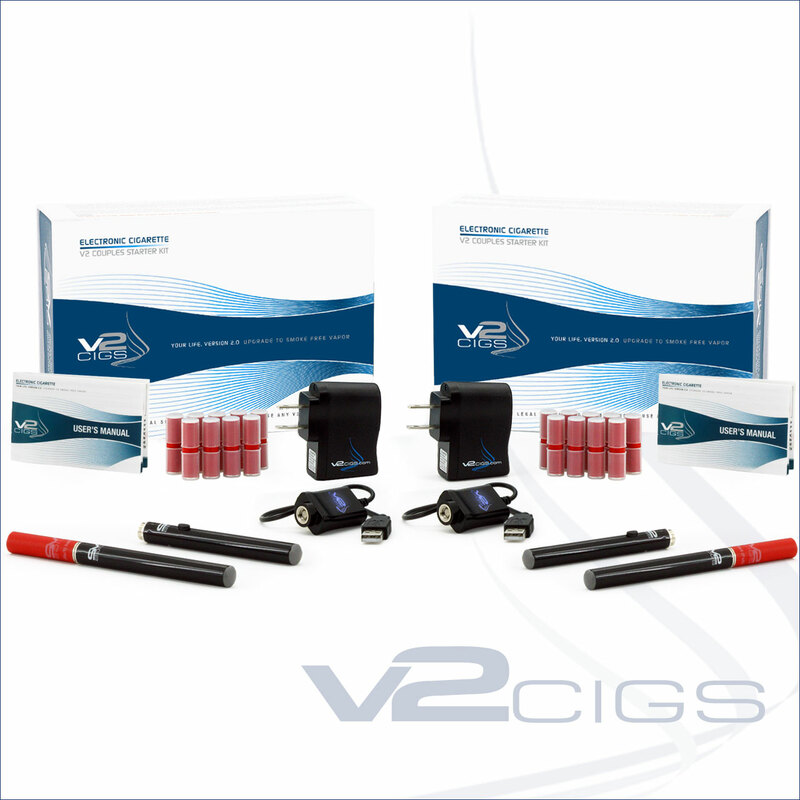 V2 Cigs provides some of the best electronic cigarettes on the market today. 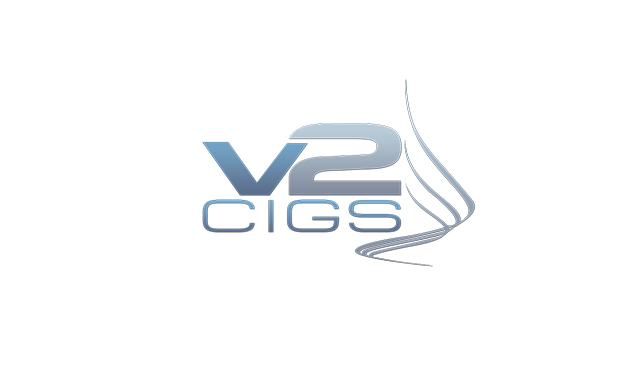 Backed by a team of designers and engineers, V2 Cigs attempts to outdo themselves by constantly improving their products. 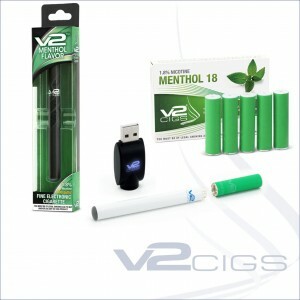 V2 Cigs has presented a line of e cig items to match everyone’s preference. As mentioned, they have a highly skilled team of designers and engineers developing top of the line e cigarette products. They offer 5 different starter kits to match the varied needs of consumers. The option to use flavored cartridges or refill e-liquid bottles is notably the best option for electronic cigarette users to save lots of money. The V2 Cigs manufacturing quality is as good as it gets. They offer disposable and rechargeable units as well as the option for manual or automatic battery. 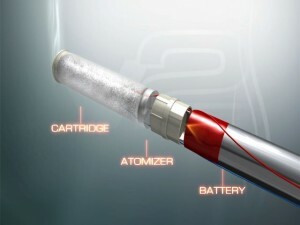 As most popular e cigs, they also sell a wired USB powered e cigarette called ‘V2 Power-Cig’. The e cigs work fantastically well, and all-round satisfying. Their accessory line has extras that will also please many, from car adapters to nifty portable charging cases, they all look awesome. Attention to detail and a great quality finish spans across the lot. The Vapor production on the V2 Cig has been developed and improved until reaching the perfect balance for popular demand. Having a very close feeling to a real cigarette is probably the reason the product has done so well. We really like the smoothness of the vapor on the automatic battery and found the control of manual battery to be unnecessary to better the experience, as automatic batteries now have long enough of a draw that you can customize your puff as you want. We have heard some complaints about the air holes creating too much of an airy puff. but we don’t mind and find that simply covering one air hole gives you a stronger puff while not creating too much pull. We unanimously agreed it being one of our favorite e-cigs. The vapor is balanced just right, the noise was not scratchy, very quiet and even distribution. One important thing to note, is that nicotine delivery is great, and remains bold for a bit longer than the first 100 puffs of the cartomizer. 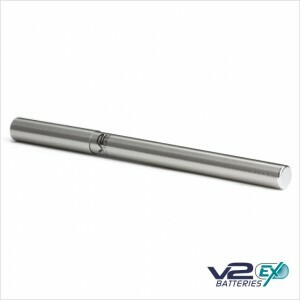 V2 Cig developed the EX Series V2 Battery. They highly improved vapor production and puff count in comparison to same sized batteries coming in at only 100mm (135mm with cartridge). The common plastic tip is replaced with a solid flat finish and charge indicator LEDs we’re added on the body. Comes in 5 different sleek finishes with matching cartridge cover tips. For battery life on the go, we highly suggest the additional accessory option of their V2 Portable Charging Cases. Not only do they look great, but their smart design allows for multiple battery charges from anywhere, doubling as a carrying case. As we said before, we have not found a better tasting tobacco flavor out there. Our team has tried at least a dozen different reputable brands and not one came nearly as close to capturing the real taste of a cigarette than their signature V2 Red American Tobacco. We get why the V2 Cigs has helped so many people stop smoking. We we’re also surprised to have enjoyed all of the flavors. We are sure they might not please every palette for some more selective clients but overall the great flavors and function of their electronic cigarettes really brought it home as our favorite. We also mentioned earlier how refills can really save you lots of money. Any ex-smoker e cig user knows how much money they have already saved by making the switch to electronic cigarettes. However, regular e cig users still have to spend money for the cartridges. Using V2 E-Liquid refill bottles and blank cartridges is very easy and simple, but most importantly economical. It only takes 1 or 2 drops in the cartridge, and it’s very simple to pop the cap off and close it back up. The EX blank cartridge model offers a more advanced and easy to use screw-on cap design with clear view on liquid levels. Zag, they regularly add new exclusive delicious flavors to pick from. Traditional (tobacco), Menthol, Caribbean, Colombian, Clove, Mango, Vanilla, Island Breeze and Dragonberry all available in 1.8% nicotine strength. Detailed information on the flavors can be found on the website. 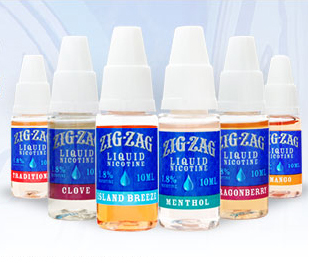 The Zig-Zag bottles are offered in 60ml pakcages of six 10ml bottles. We are waiting on a shipment of their latest flavors and can’t wait to try. 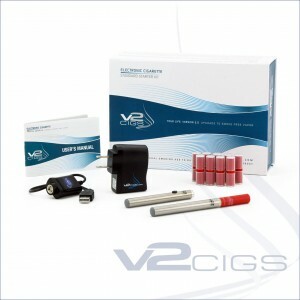 V2 Cigs offers 5 different Starter Kits to cater to beginners up to large kits for better value. As for warranty, well it does not get any better either. 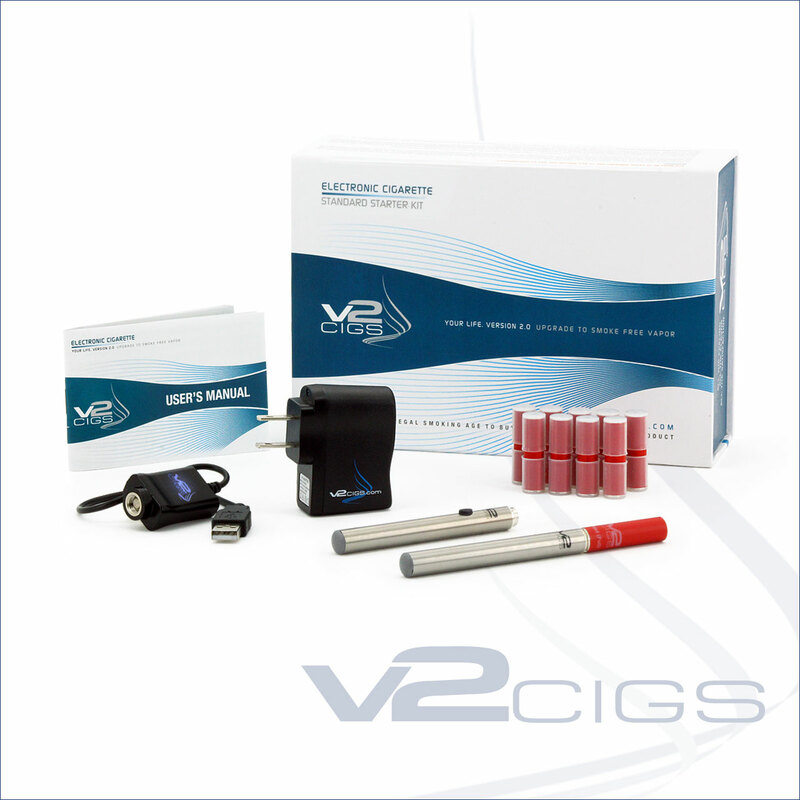 V2 Cigs offers a Lifetime Warranty on all electronic components. Although it does not apply to cartridges, e-liquids or disposables, all that really matters are the battery units. 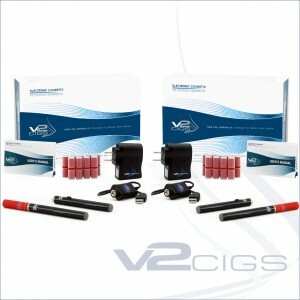 The warranty is only valid if you purchase from their official website, so make sure you buy online at v2cigs.com. Additionally, domestic shipping is free. We will quickly go over each kit but feel free to skip to our conclusion or visit the site here for more information. 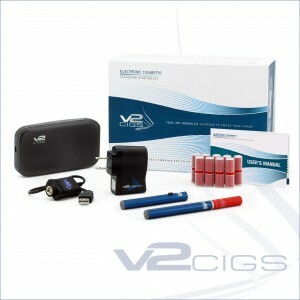 For more information on all the latest starter kits, head to our V2 Cigs Starter Kits Review. Available in White, Black, Stainless, Blue And Pink ColorsDesigned for the everyday user in mind, if you are ready to make the healthy switch to a smoke-free life, this kit has everything you need to stay charged and vaporizing. The V2 Standard Plus Kit is pretty much identical to the Standard kit but includes a Portable Charging Case. If you are the on the go type of person, a charging case is almost a must. Easy transport combined with highly advanced charging power everywhere you go. The V2 Couples Kit says it all. Packaged for two people, this combo offer makes a good choice for couples, or if you have a family member, friend that wants to go smoke free with you. The V2 Ultimate Kit is for the buyer who wants to go all out and get the best accessories. Featuring the Power Charging Case XL, you will never run out of charges and can easily share with a group of friends. Or you can keep it all to yourself of course. Either way, the Ultimate Kit at promotional price is an advantageous buy. 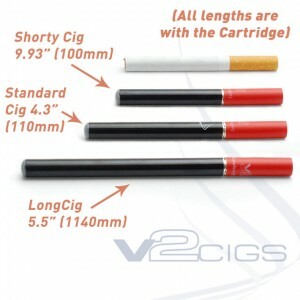 V2 Cigs also offers a disposable format electronic cigarette. The single use smokless e-cig has good vapor but limited choice. You can pick from the most popular V2 Red tobacco flavor or menthol. Vapor production is respectable, but if you are looking for the best V2 Cigs vaping experience, stick to the rechargeable models. For first time buyers, the V2 Cigs disposable is the perfect option to try out vaping for the first time, or to give V2 flavors a try. Read up more on V2 Cigs Disposables here. In conclusion, we have found V2 Cigs to be our favorite out of a dozen brands overall. Not to say that it could not be better, but we know the team at V2 is always up to new and better improvements. Although other brands had some characteristics and flavors that we prefer, as a whole the e cigarette V2 cigs has created is hard to beat. Any first time user would avoid being disappointed by choosing V2 electronic cigarettes and we highly suggest it to anyone who has not tried them.